Are you looking for a way to add interest to your Weather unit? Do you want to add more activities to your learning stations? Are you searching for a project which integrates learning and technology? 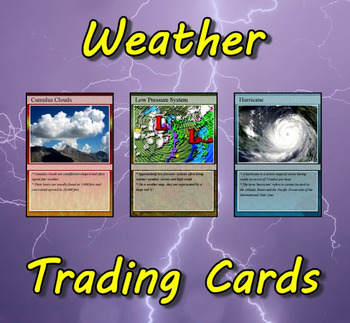 Download my Weather Trading Cards package! 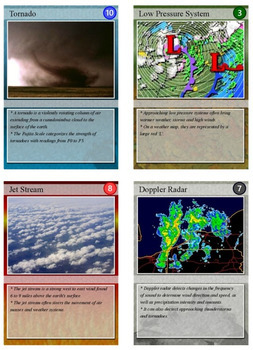 Included is a set of 54 trading cards highlighting meteorology, weather instruments, forecasting and other weather topics. 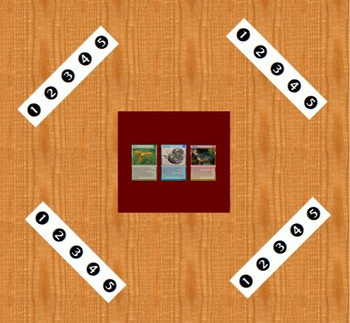 These trading cards can be printed on card stock, laminated, and trimmed to produce a set of playing cards. The deck is divided into four suits of thirteen with two jokers, allowing students to learn while playing any standard card game. 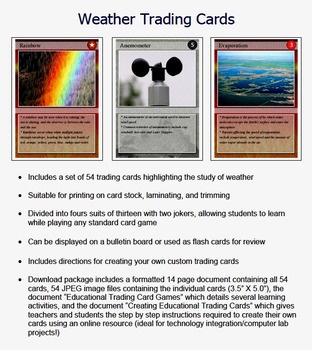 Also included are the documents "Educational Trading Card Games" and "Creating Educational Trading Cards". The first document contains three original study games for classes and small groups. The second document gives teachers and students the step by step instructions required to create their own cards using a free online resource. Enjoy!